Here i am again with another edition of macro monday. 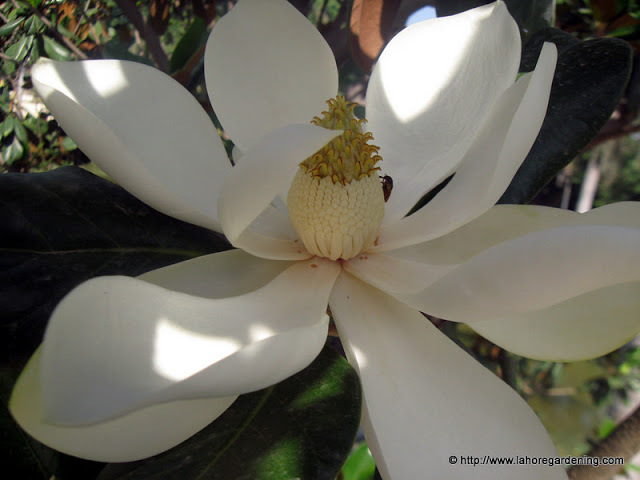 In this post i would like to share with you some macros of my favorite tree, Magnolia grandiflora – Southern Magnolia. This tree is native to southern america and state flower of Mississippi. It is widely cultivated in india and pakistan for its beautiful and fragrant flowers. There are many species, some are dwarf, almost all bloom very late specially if grown from seed. These magnolias are shot in lawrence gardens lahore. It has very large flowers and the scent is very sweet and delicate. Here is how looks the bud unopened. Bees love it although i am yet to see any butterfly on it. 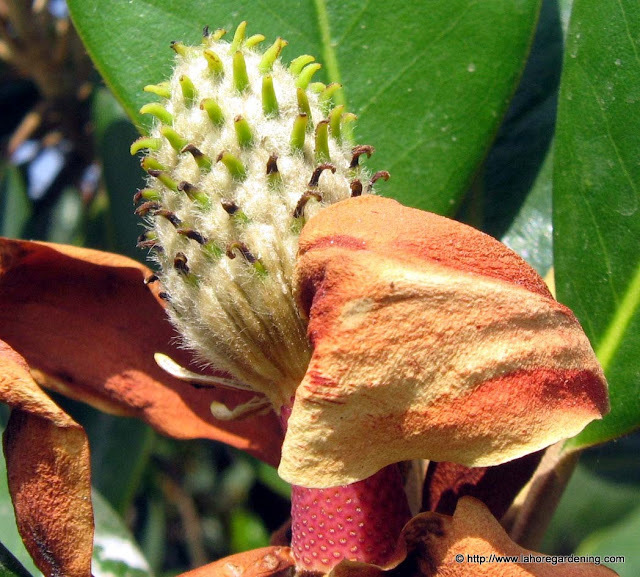 Remember growing magnolia from seed takes a lot of time to reach blooming sometimes 15 years and minimum 3 years. So mostly it is grown from cutting or layring. 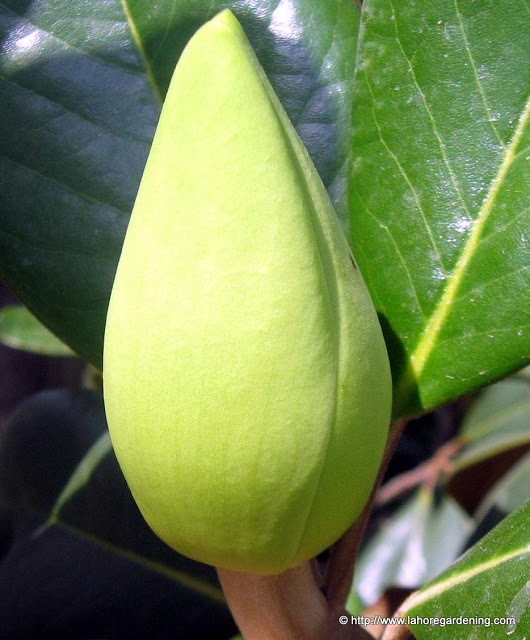 It has common name bull bay or southern magnolia as well. A true subtropical tree. It produces seed mostly after 8 or 10 years. There is another close relative Magnolia champaca or michelia champaca also grown for fragrant flowers as well but it blooms in february here in my zone 10 while magnolia grandiflora blooms in March-April here. Excellent detail and light in these macro images. Beautiful photos of the magnolia. I can just smell it! 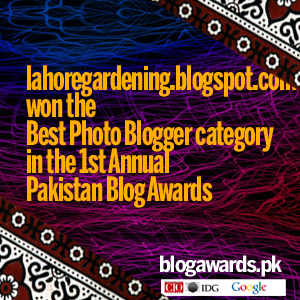 Azme Alishan would like to congratulate you on winning at Pakistan’s first ever blog awards! Such initiatives make us proud to be Pakistanis. Together we can take Pakistan to great heights of success! I love the shot of the bud that hasn’t opened. Stunning!! All of them….but especially the unopened blossom. My Macro Lantana is HERE I do hope you can stop by to visit with me today. Those are wonderful shots of a beautiful, old Southern U.S. beauty. I think it’s wonderful that you grow it in your country as well. Lovely photos on the beutiful Magnolia ! And thank´s for the interesting information about it. I love magnolias they are so pretty! Happy Monday! I love this pics! There was a Magnolia tree I used to visit often when we lived in Hawaii. It had a heavenly scent and flowers the size of dinner plates! Beautiful! 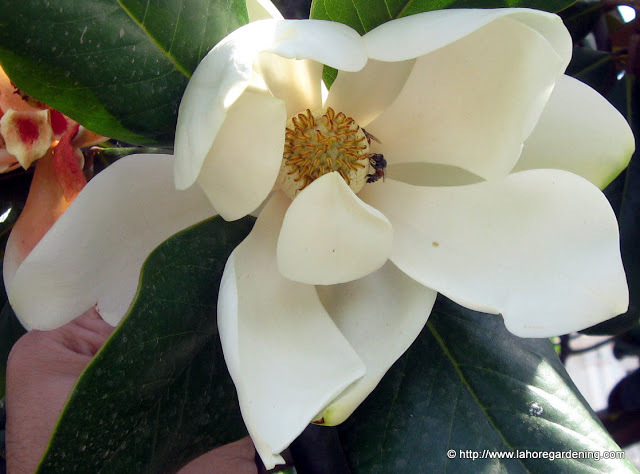 We can’t grow the southern Magnolia here in Ohio, but I’ve seen them up close in Arkansas and oh, the fragrance is wonderful! My Southern magnolia is in bloom now. The fragrance is magnificent, isn’t it?! I could get drunk off of it. Excellent photography! the smell must be heavenly right now. Great Magnolia shots! They are lovely, I took some similar shots the other day, I hope to post them soon!